Now that you have completed the fall harvest from your garden, it is time to prepare the soil so that you can enjoy good crops next year. Unfortunately, many gardeners forget that the growing season is actually very hard on nutrient levels in the soil. Aside from that, certain crops attract specific bugs that will make it even harder to grow viable crops in the next seasons. These are just a few reasons why fall soil preparation and crop rotation are extremely important. In many cases, a few simple changes can make an enormous difference and enable you to enjoy fresh produce with far less effort than expected. If you routinely plant corn and beans together, then you already know that beans will always fix nitrogen into the soil while corn uses it faster than many other crops. In a similar way, when doing crop rotations, it is very important to use beans and other nitrogen fixing legumes in areas where crops removed this and other vital nutrients. No matter how you plan these rotations, it is also very important to return as much plant material as possible to the soil. For example, instead of removing dead plants from the garden, simply dig them under in the fall and then let the snow and winter rain add extra fertilizer on the spot. As you may be aware potatoes, tomatoes, other plants in the nightshade family, broccoli, cauliflower, and others tend to attract certain harmful insects. If you use the same area each year for these crops, rest assured that the insects from the previous year will ruin your crops, and even prevent seeds from germinating. During crop rotation, it is very important to choose plants for these areas that will deter further infestation. For example, you can use marigolds, onions, and other deterrents. While these plants are also useful during the growing season, it never hurts to have one full season with just these plants before replanting susceptible crops. Many people that set up four foot gardens or deck gardens tend to forget that the soil needs more care than in a larger garden patch. 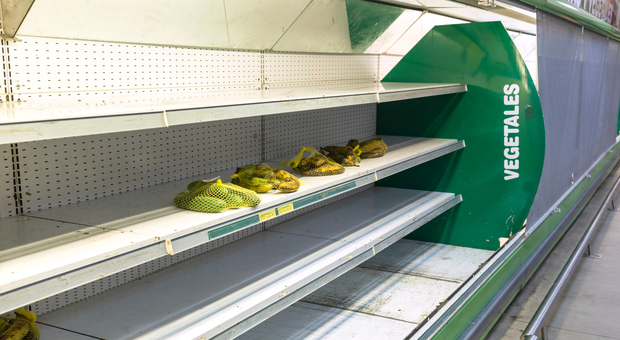 Among other things, nutrients will be used up faster, and fewer resources may be available in a container. At the same time, it is very tempting to think that you can simply throw used soil out of the container and start over again. Aside from being wasteful, you will not get the best possible crops. In order to avoid insect infestations, you will need to allow as much space as possible between different growing areas. Unfortunately, when growing crops in a limited space, the insects will simply move from one area to another with very little trouble. Therefore, even if this is your first year of container gardening, be sure to include deterrent plants in each bed. Start off the cycle with beans, peas, soybeans, or other legumes. During the next season, plant potatoes, carrots, or other root vegetables. For the third season, plant spinach, lettuce, chard, broccoli, or cauliflower. It should be noted that an early spring or late fall planting in warmer climates can serve as the third season. That being said, you may want to add more legumes to the plot the following spring just to spruce up the soil. 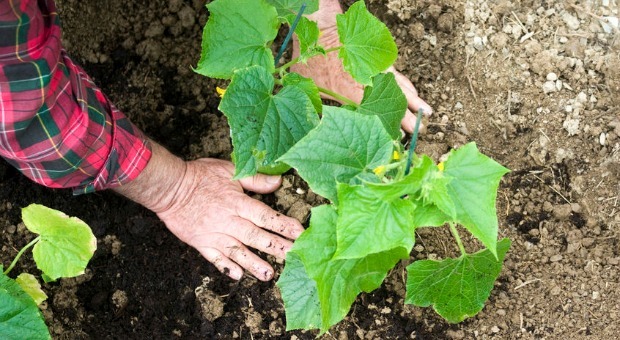 During the fourth season, plant eggplant, cucumber, tomato, corn, pumpkins, and squash. When using crop rotation, it will also be of immense benefit to use small areas of the garden instead of the entire space. 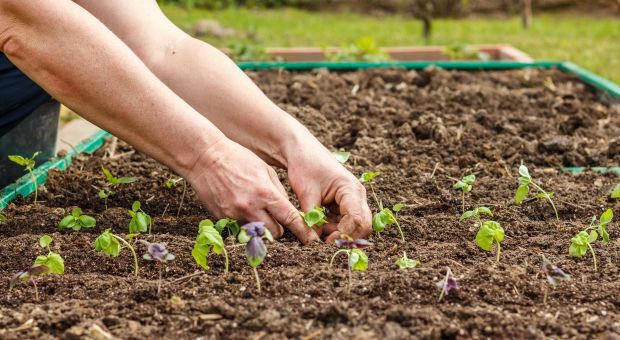 This will give you a larger variety and also give you a chance to experiment with different plants, compost, and other methods without ruining the entire garden. 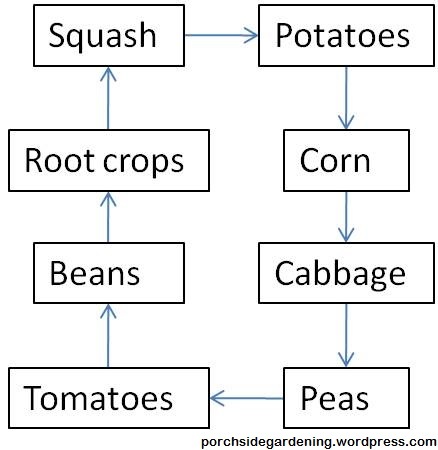 Even though the four season crop rotation cycle is an old standby, an eight season crop rotation may be of interest if you are especially concerned about insects, or want to add herbs and novel plants to your garden. Start with radishes, broccoli, leafy greens, cabbage, and Brussel sprouts. In most climates, you can actually start radishes and other “cold loving” vegetables early, and then use the land again for the second planting season. Next plant beans and other legumes. Follow the next season with nightshade plants such as tomato, eggplant, or potatoes. Plant onions, garlic, marigolds, and others that will inhibit nightshade loving insects. 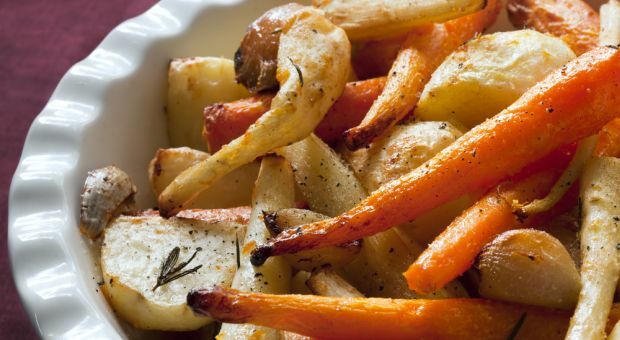 Follow with carrot, parsnip, celery, and other herbs. Mix in legumes if you notice slow growth or other signs of nitrogen depletion. Grow squash, melon, cucumbers, and other fruits except nightshades. Plant beets, chard, and other leafy greens. Finish the cycle with peppermint, spearmint, rosemary, sage, and other herbs that will help get rid of insects. This is also a good point in the cycle to plant more marigolds, chrysanthemum, and legumes. 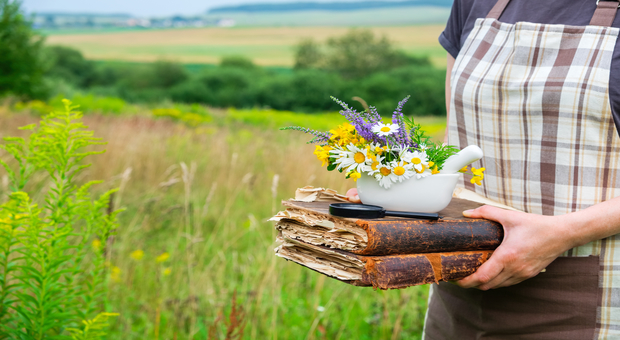 When you first start gardening, you may not realize that one season has direct impact on crops for years to come. After a crisis occurs, you won’t be able to simply to out and buy fertilizer or use other conventional means to control insects and protect your crops. Rotation planting is one of the best methods to ensure soil remains viable and also ensure that you will get nutritious crops on a steady basis.